A vicious polar vortex is gripping much of the Midwest, sending temperatures well below zero, with wind chill factors further amplifying dangerous and deadly temperature levels. Business and schools are closed as experts warn frostbite can happen in a matter of minutes. People are staying inside to keep warm, but a fire at a Consumers Energy compressor station yesterday has limited the company’s natural gas supply, putting the heating of homes and businesses in southeast Michigan in jeopardy. The utility company called for customers to lower home temperatures to 65 degrees to help ration the supply of natural gas to heat homes. But what has helped Consumers Energy the most was General Motors and other automakers with factories and facilities in the area temporarily halting production and operations. 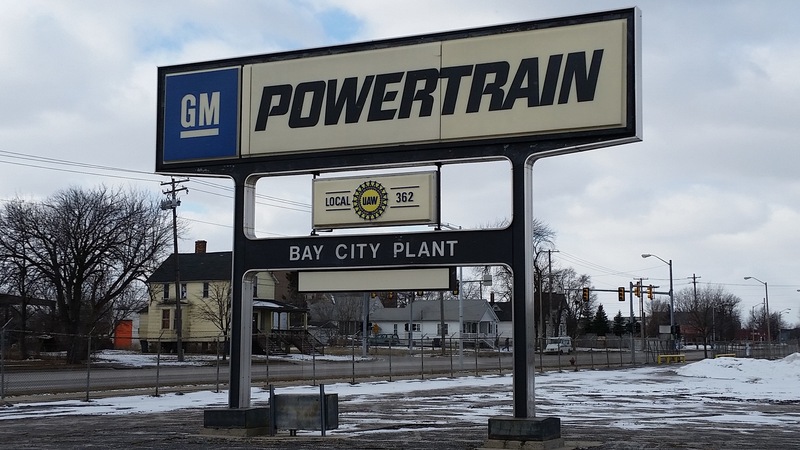 General Motors suspended operations at several manufacturing locations that included Bay City Powertrain, Orion Assembly, Flint Assembly, and many more. Non-manufacturing locations affected by the suspension included Warren GM Tech Center, Pontiac Engineering, and Grand Blanc Customer Care and Aftersales HQ. The move by General Motors and other automakers has helped keep the gas and electricity flowing in Warren, Michigan’s third-largest city. Overnight, the Consumers threatened to shut off gas to the city in hopes of managing its gas supply. There was even a possibility of the electricity being cut, too, but the move by automakers have helped keep Warren residents and their fellow Michigan citizens warm. Warren Mayor Jim Fouts said that the City of Warren was threatened with a complete gas shut off to the city and its homes in the midst of the coldest temperatures seen in nearly a century. And in a social media post, credits GM and its rival Michigan automakers for temporarily shutting down its facilities as Consumers Energy handles its crisis. Turning off gas is a “worst-case scenario,” according to Katie Carey, a spokeswoman for Consumers Energy, who talked with the Detroit Free Press. Temperatures in Michigan are expected to rise this weekend, which should help the company manage its gas supply and allow the automakers to return to full production. I thought GM was running the heat in their factories on methane from nearby dumps….that what we were told in press releases years ago! That’s strictly the GM Orion plant, which is the only plant next to a dump, and in winter the chemical reaction from waste breakdown in the dump (that creates methane) slows greatly as temperatures drop, so they supplement with natural gas as needed. Methane is not enough to fully supply the plant. Methane is natural gas. Or natural gas is methane. It just depends on your outlook on life.